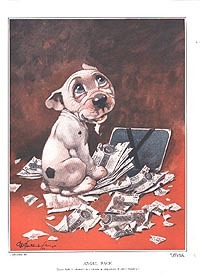 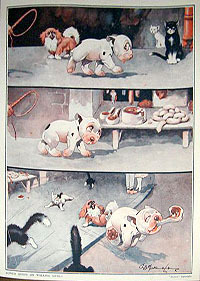 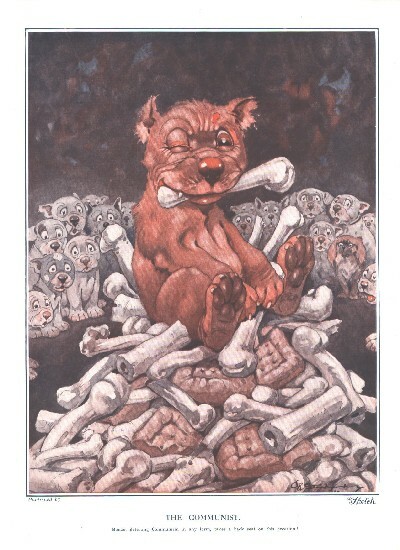 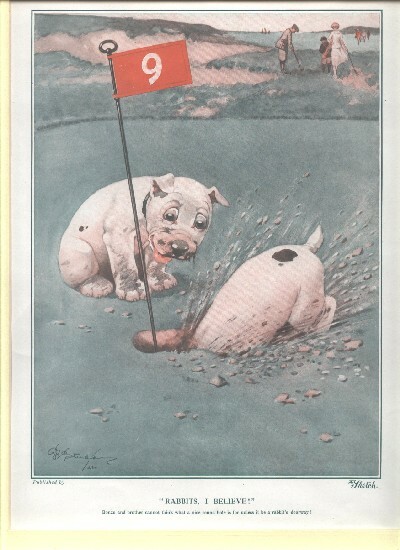 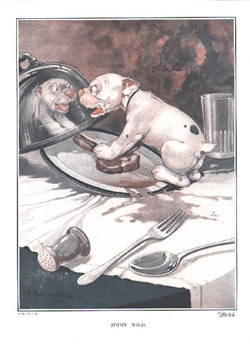 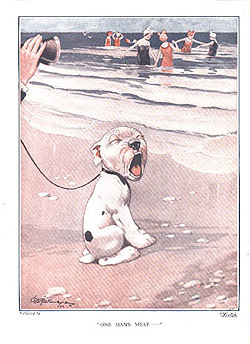 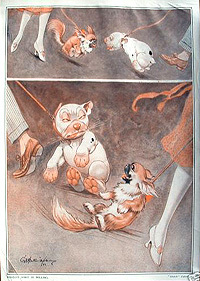 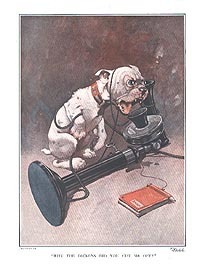 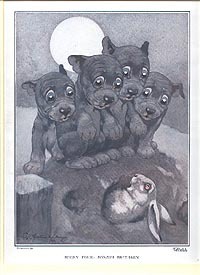 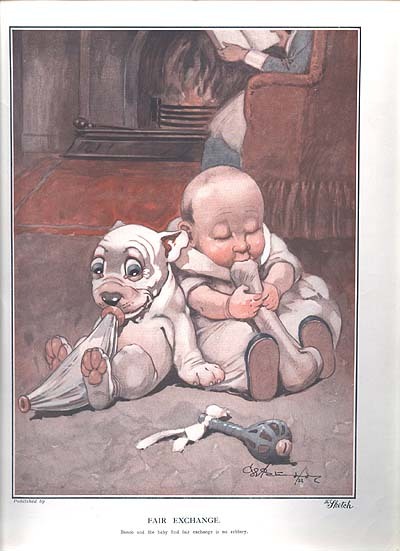 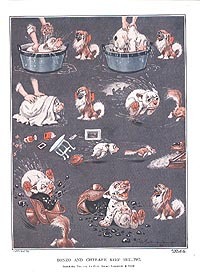 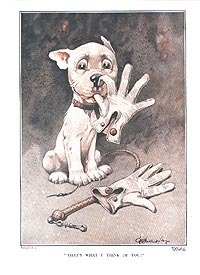 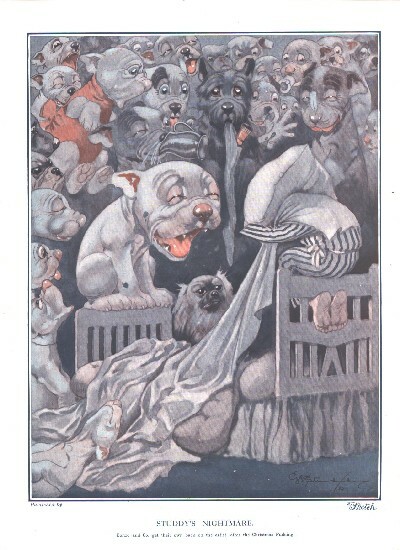 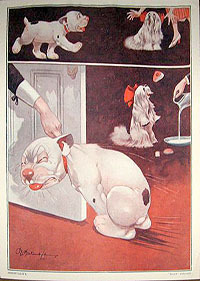 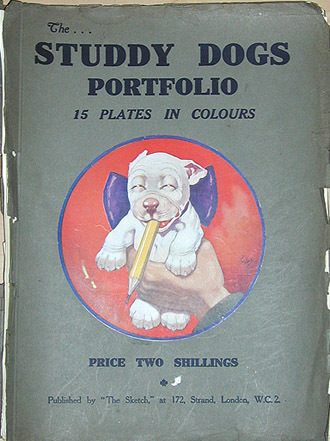 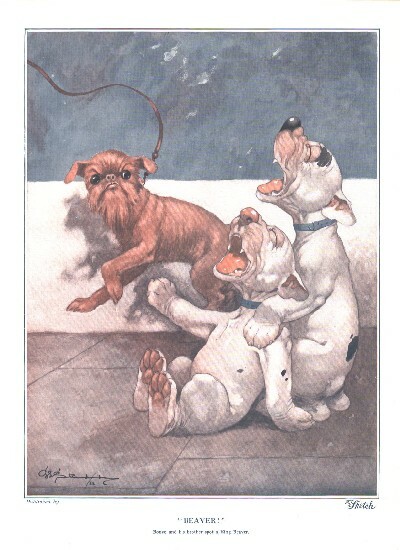 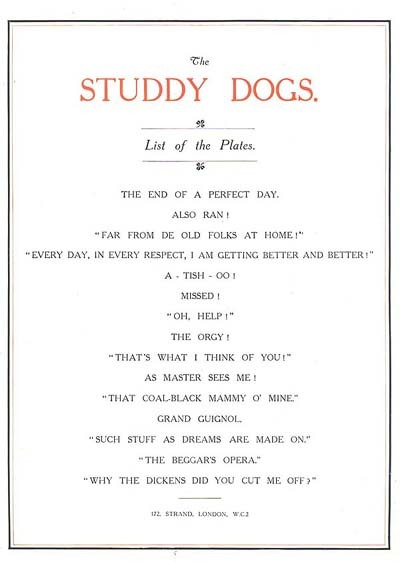 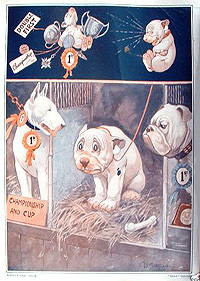 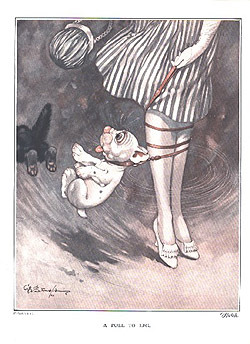 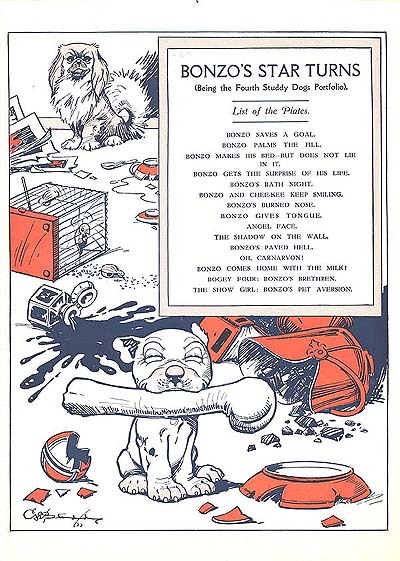 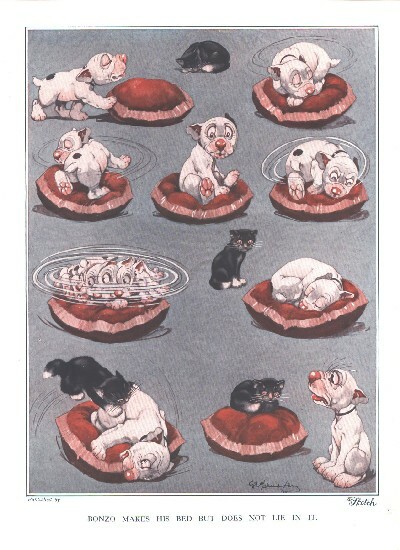 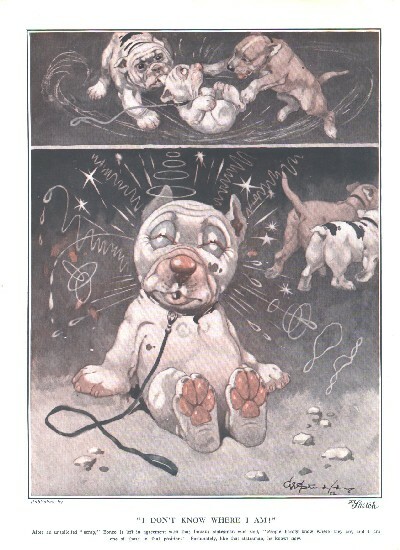 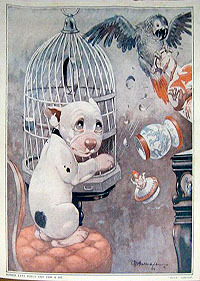 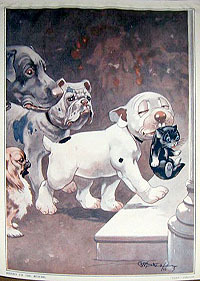 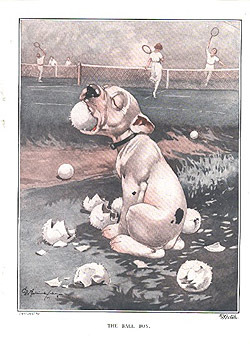 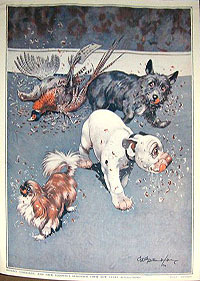 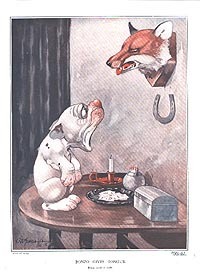 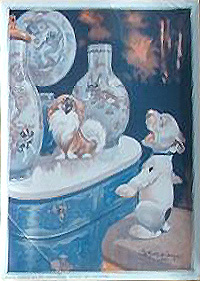 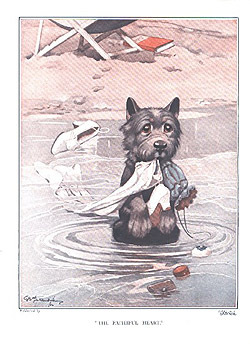 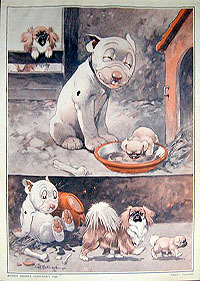 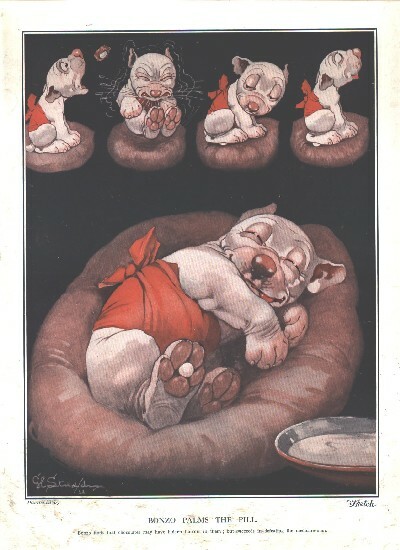 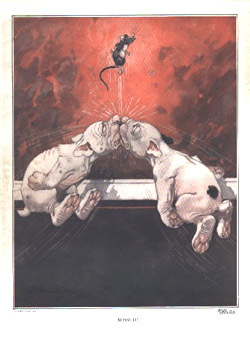 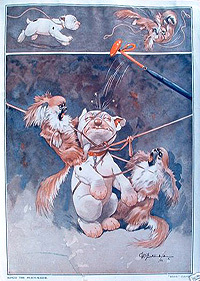 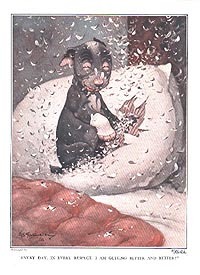 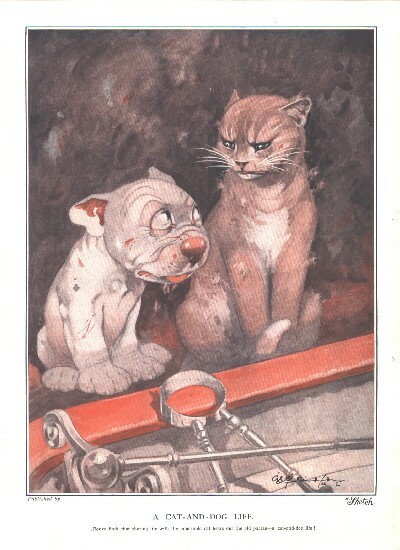 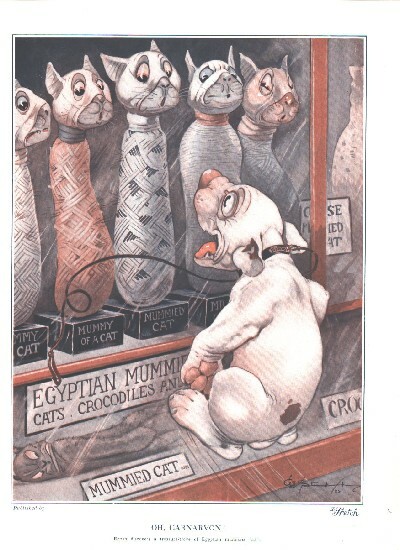 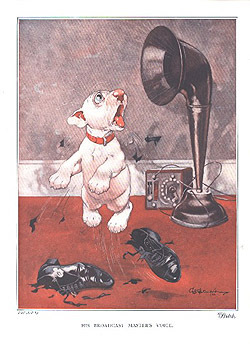 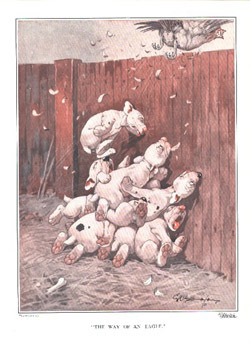 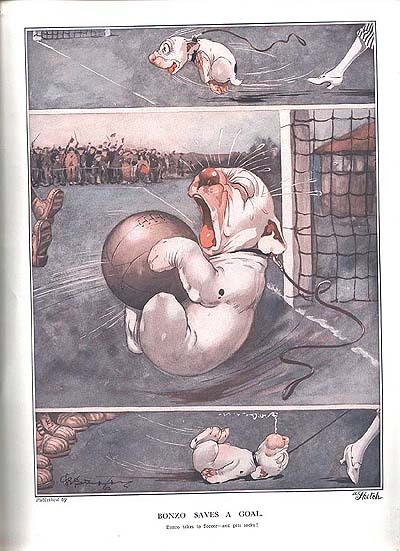 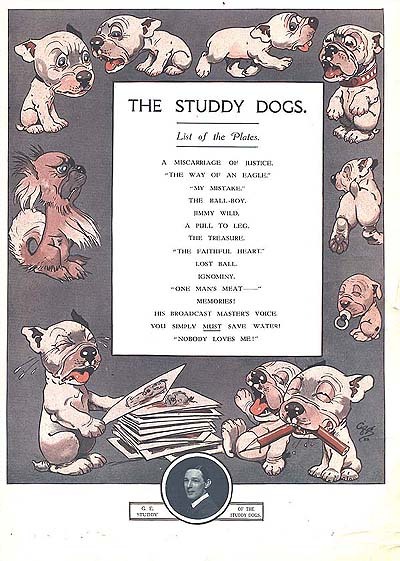 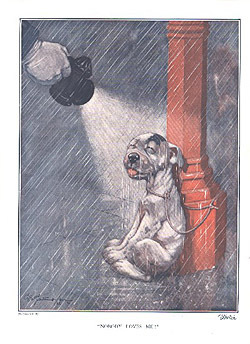 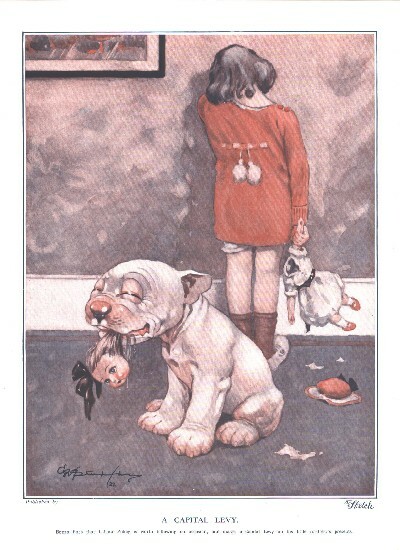 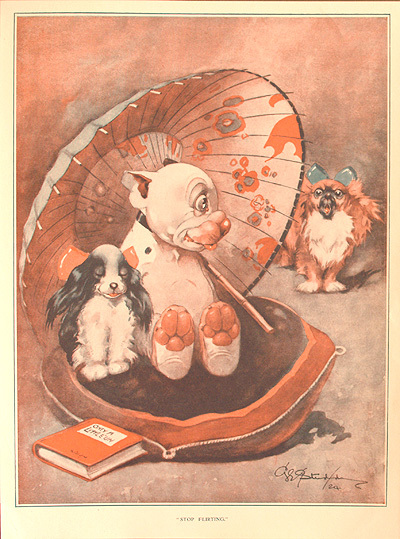 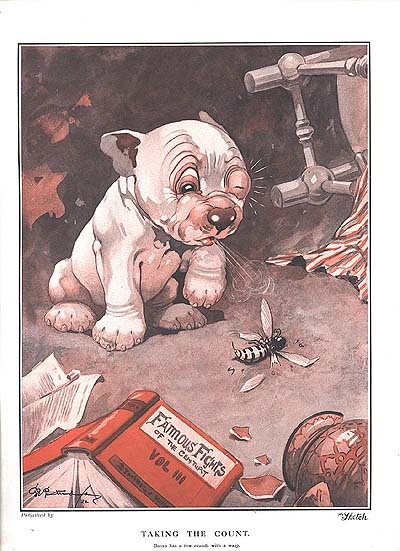 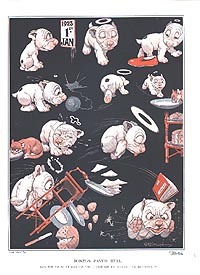 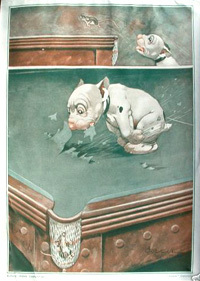 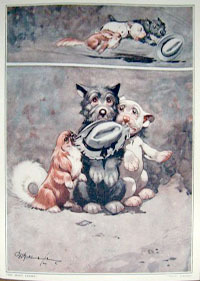 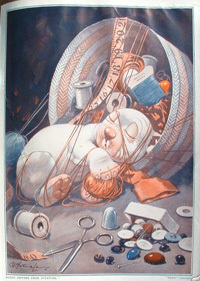 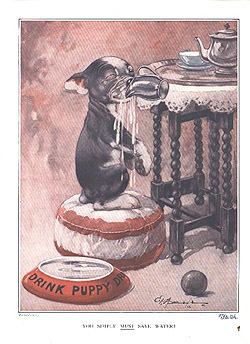 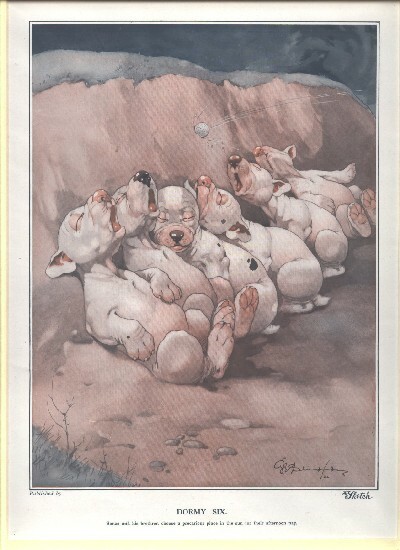 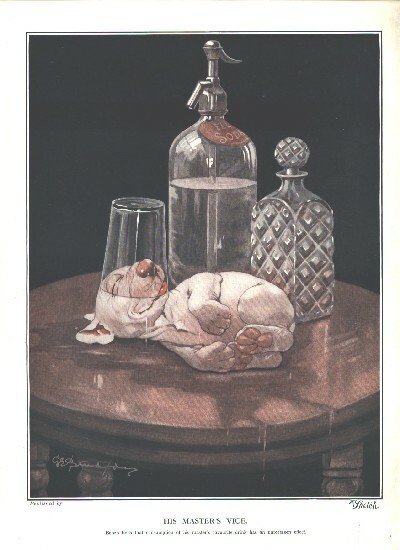 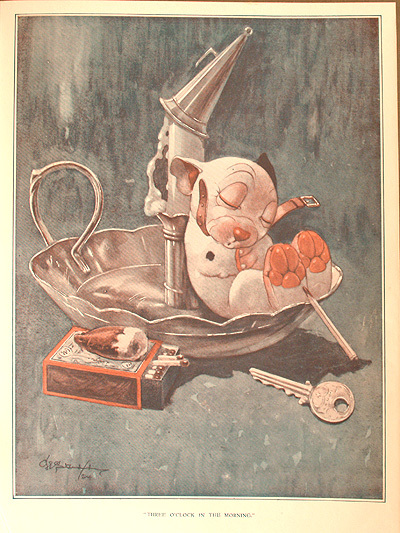 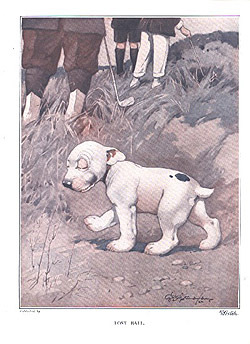 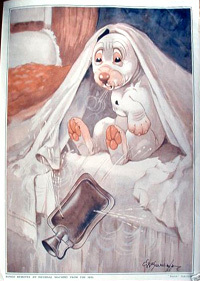 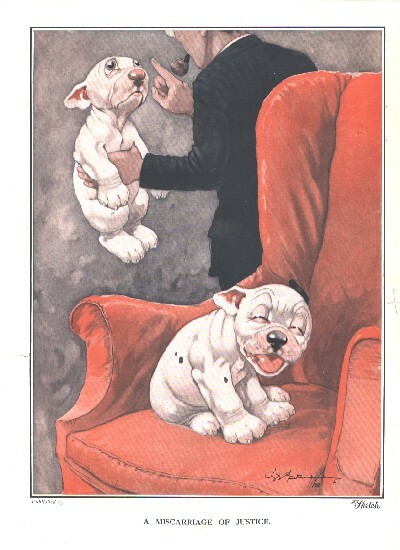 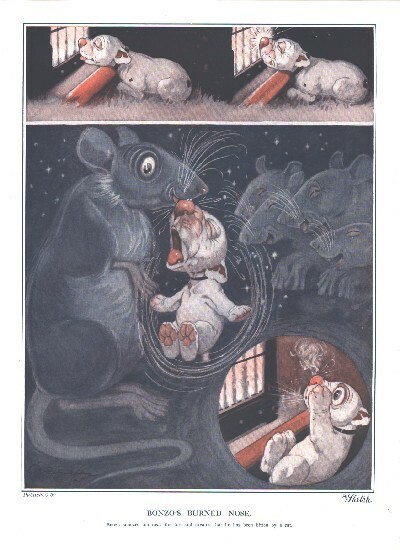 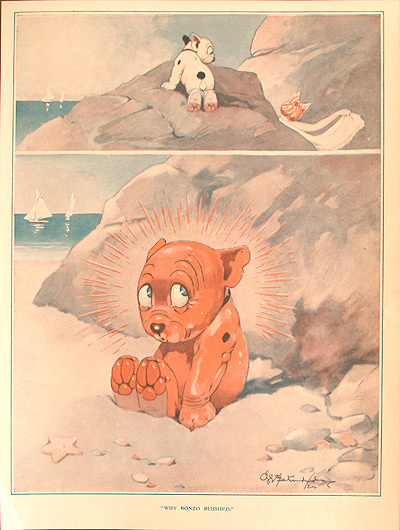 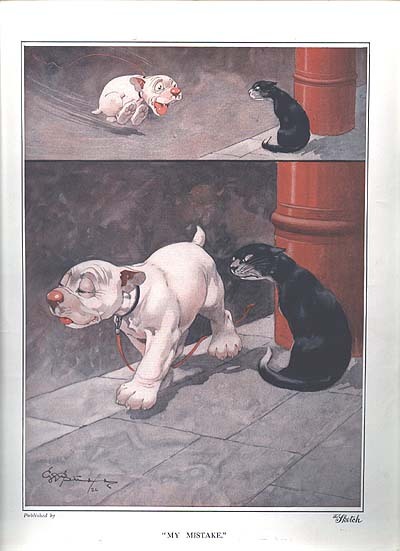 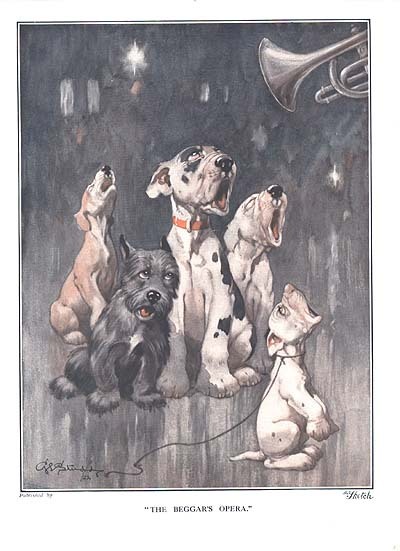 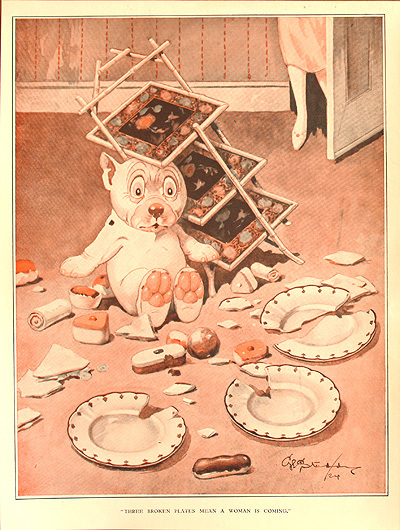 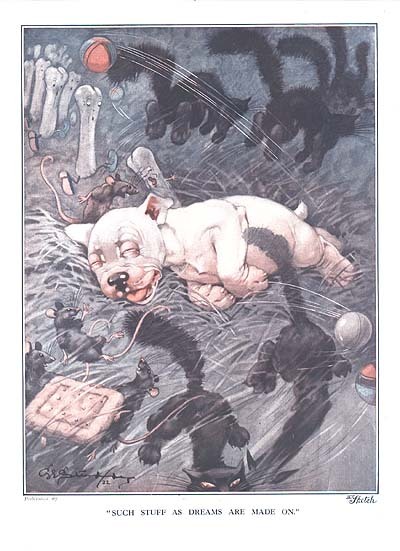 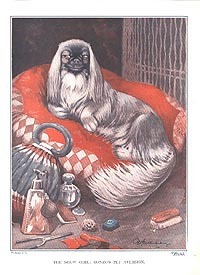 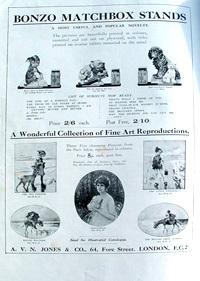 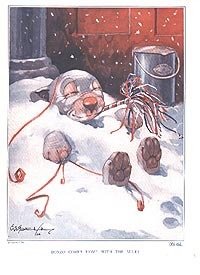 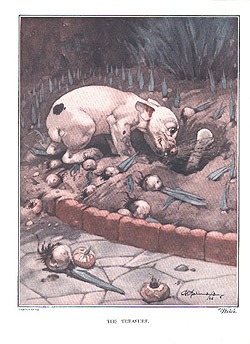 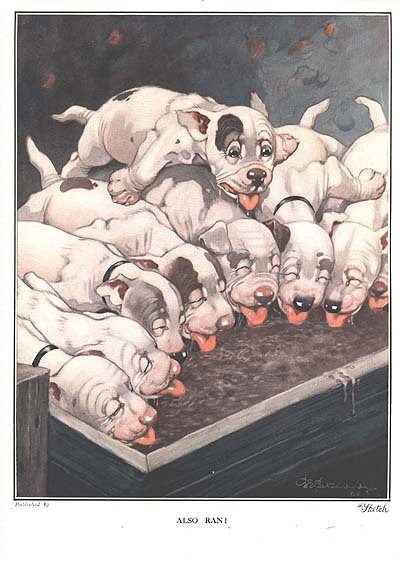 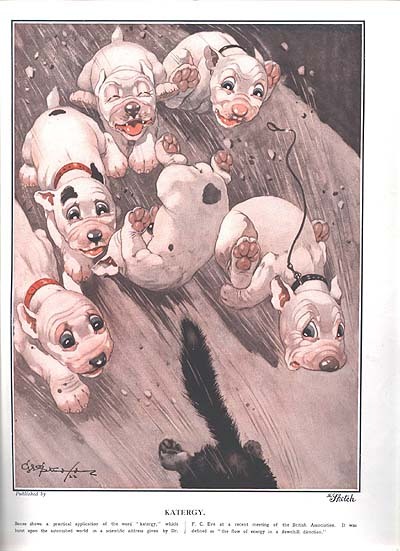 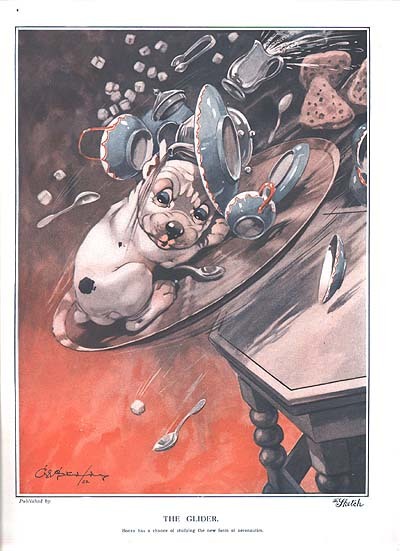 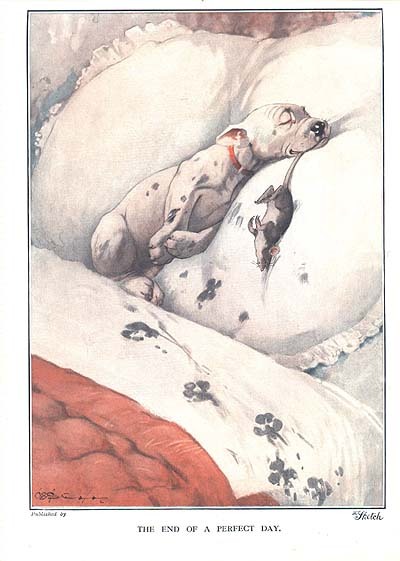 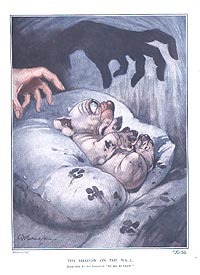 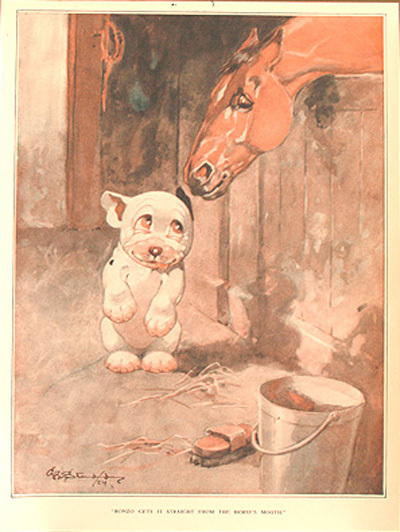 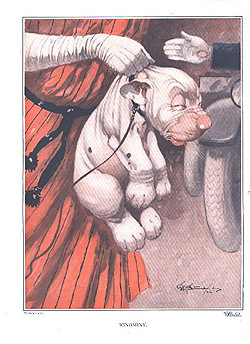 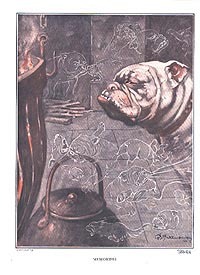 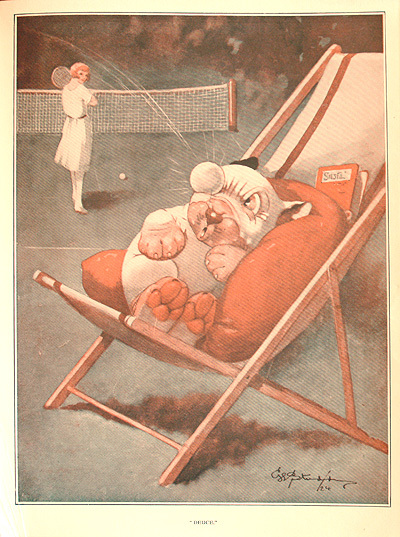 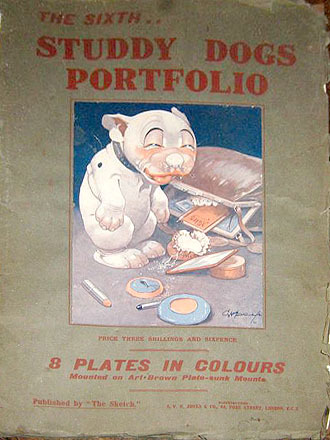 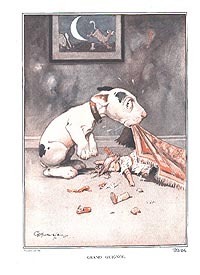 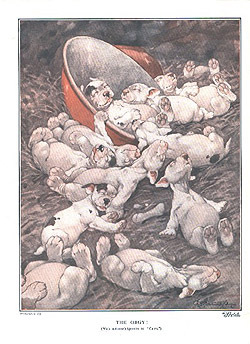 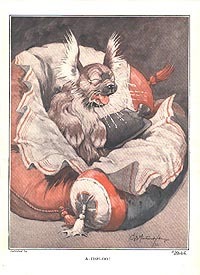 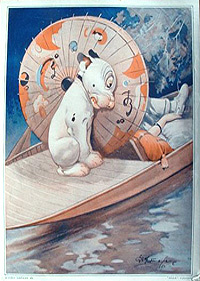 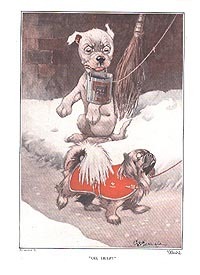 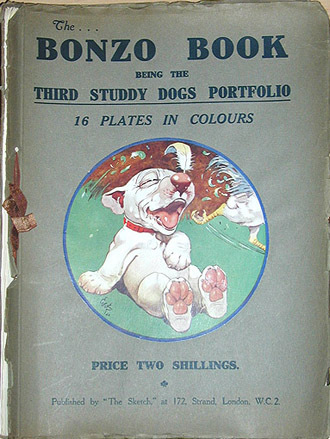 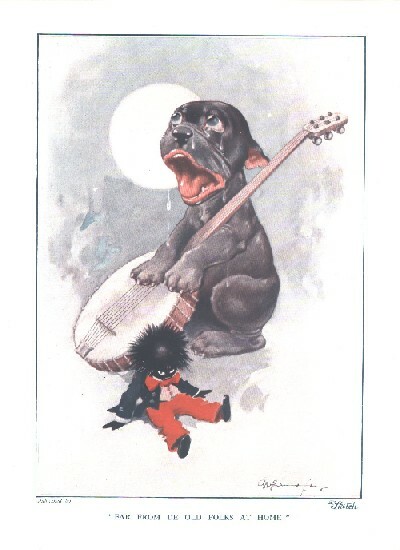 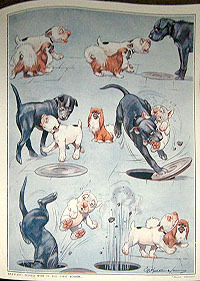 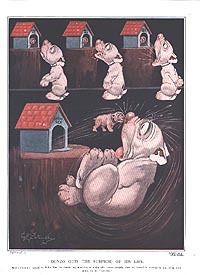 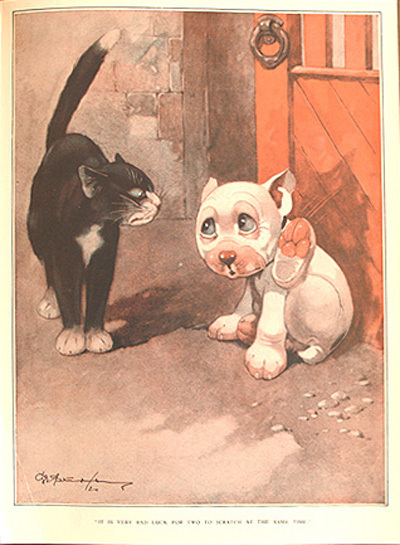 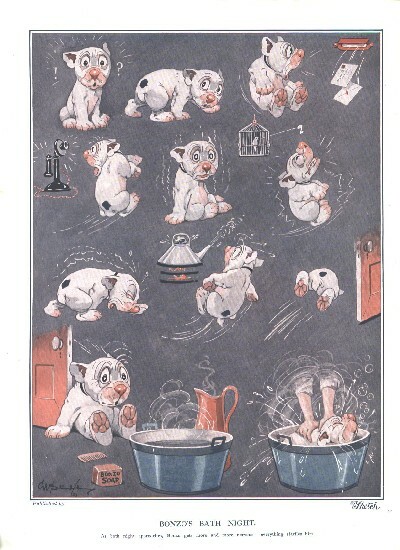 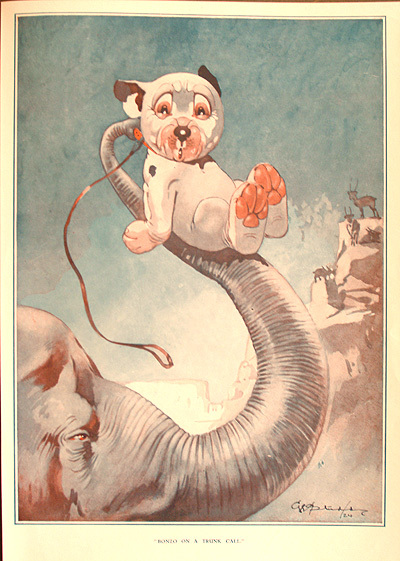 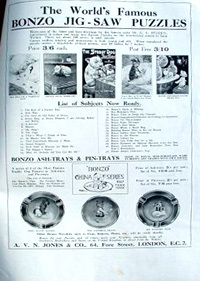 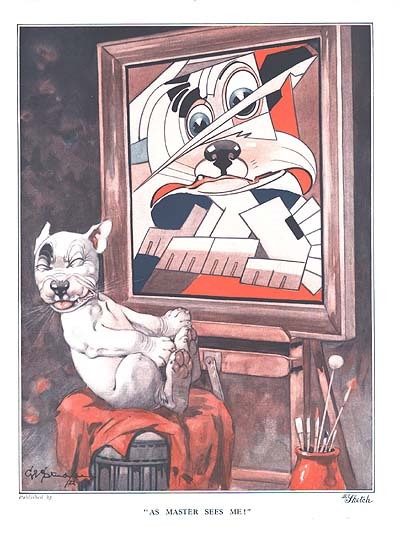 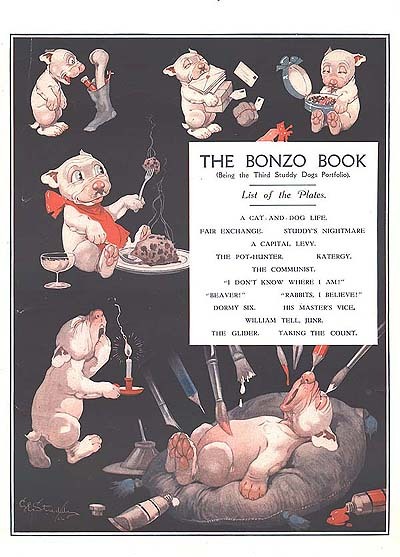 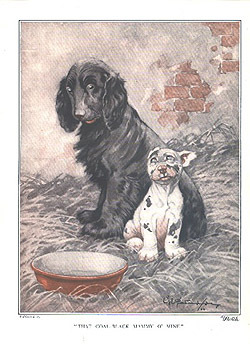 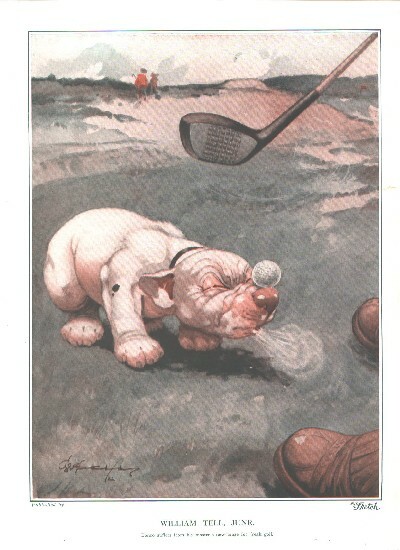 The Sketch issued the first Studdy Dogs Portfolio in 1922 using images taken from the weekly helpings of Bonzo in the Sketch Magazine. 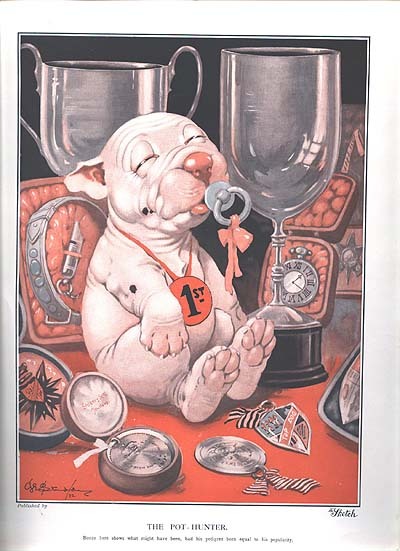 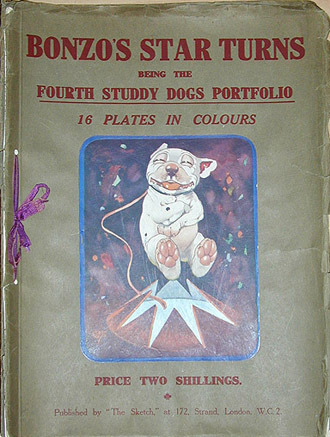 Over the next 3 years The Second Studdy Dogs Portfolio, The Bonzo Book (being the Third Studdy Dogs portfolio), Bonzo's Star Turns (being the Fourth Studdy Dogs Portfolio) the Fifth and Sixth Studdy Dogs Portfolios were all issued. 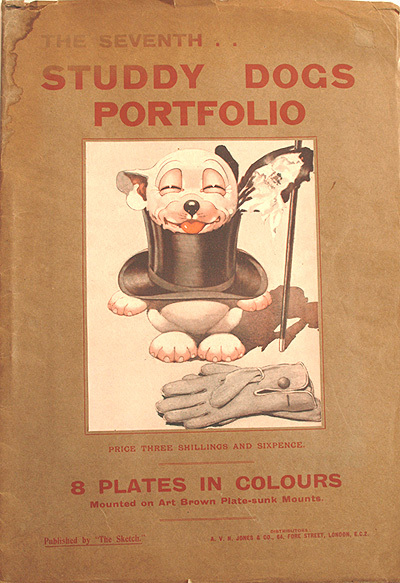 Each set contained 15 prints except for the fifth and sixth which had just 8 and each portfolio had a specially drawn cover image. 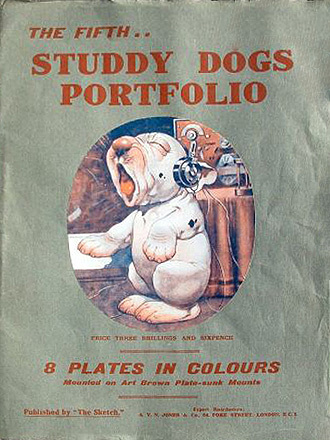 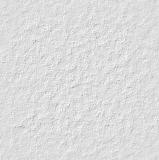 Recently a seventh portfolio has come to light, see further down this page, which also contains 8 prints. 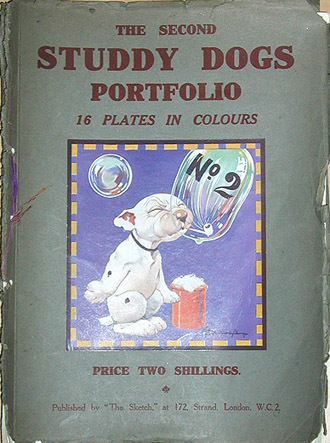 After Portfolio 4 there were apparently no announcements in The Sketch that a new set of prints was being issued so that until recently the popular belief was that there were just 6 portfolio's, the discovery of the seventh leaves the way open for the discovery of even more!